London Green Left Blog: Is Labour’s New Brexit Plan an Attempt at Triangulation? Is Labour’s New Brexit Plan an Attempt at Triangulation? Sir Kier Starmer, the Labour party’s shadow Brexit Secretary, writing in The Observer on Sunday, laid out the party’s new plan for the UK’s leaving of the EU. Apparently, the new position was thrashed out over the summer by the shadow Cabinet. Clearly, some clarification of Labour’s thinking on the matter was needed, particularly as the Tory government began to release position papers on its approach to Brexit. The government appears to have softened its aims, and there has been no mention in these papers of the Tory election slogan at the recent general election of, ‘no deal is better than a bad deal’ nonsense. To recap the government’s new position is, we will leave the EU in March 2019 as the terms of invoking Article 50 of the Lisbon Treaty require. But a transitional period of two years will follow, where the UK tries to replicate, as far as possible, setting up arrangements between the UK and the EU, that are as close to our current status as is possible. When this two year period expires, with hopefully a trading arrangement with the EU in place, we will leave the EU altogether. The EU has given a cool reception to the government’s plans though, insisting that during any transition period the UK will have to abide by all EU rules, not cherry pick the ones it likes. In short, the four fundamental freedoms of the EU, free trade in goods, services and capital plus freedom of movement for labour, will continue to apply. This also requires the UK to remain in the customers union and accept the jurisdiction of the European Court of Justice. And so to Labour’s new position. I have written on this blog, many times, that Labour’s Brexit position has been difficult to decipher, with different shadow ministers saying different things, so it is to be welcomed that Labour has clarified where it stands on the issue, and the liberal media, has applauded it. But this latest plan does not clarify things that much. The UK would stay in the EU, or an identical arrangement, accepting the four freedoms, for a period of up to four years (maybe even longer), or as Starmer puts it, ‘as short as possible, but as long as is necessary.’ At the end of the transitional period, Labour will seek to negotiate a bespoke arrangement whereby the UK will have some control over inward migration from the EU to the UK, whilst remaining in the single market and customers union. This is still unrealistic, and is basically what David Cameron, when he was Prime Minister tried to negotiate with the EU before the referendum last year, and got nowhere. But Starmer also left the door open for either remaining in the EU or continuing the transitional arrangement on a permanent basis. Both the transitional period and what follows could be that the UK will join the European Free Trade Area (EFTA), which Britain was a member of prior to joining what was then called the common market in 1973, or the European Economic Area (EEA). This would constitute leaving the EU, but is a half-way house, and crucially an off the peg arrangement from the EU, and perhaps permanently? Ironically, Corbyn led Labour was meant to be a break from Tony Blair’s new Labour, and all the practices that went with it. 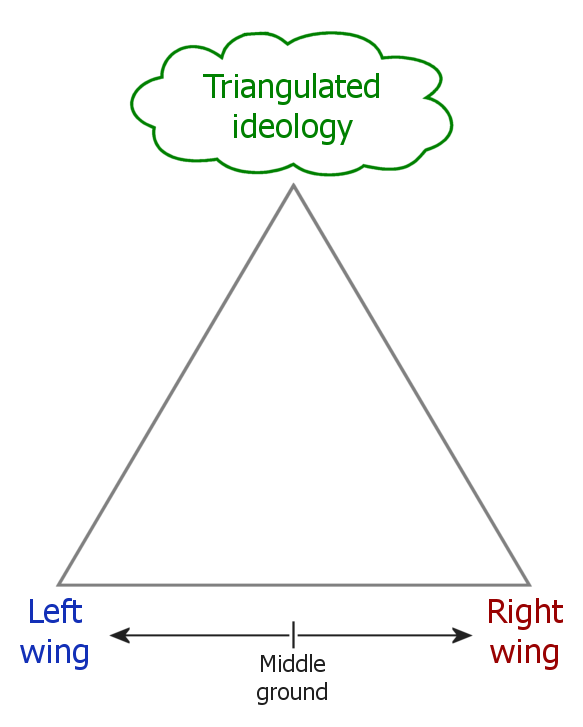 Neoliberalism, spin and triangulation, copied from Clinton’s Democrats in the US. 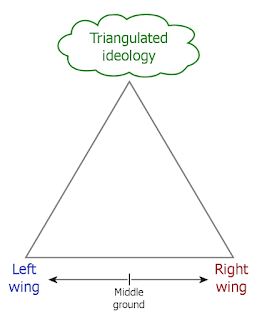 But this looks awfully like triangulation, pitching for the centre ground on issues, and making it difficult for your Tory opponents. Certainly, that is what the Brexit left are saying, here and here and I saw in the Guardian letters page yesterday, Arthur Scargill of the Socialist Labour Party making a similar case. It certainly makes sense if you are a remainer, to drag this process out for a few years, as some older voters (who mainly voted leave) will pass on, and some younger voters (who mainly voted remain) will come onto the voting register. Then, the time might be right to re-run the referendum or to make the case for staying in the EU (or EFTA) in a general election. It could happen. I have heard that Theresa May says she plans to help the UK deal with injustices as she works on Brexit. In reality her lot mount injustice upon injustice regarding disabled people and others, and do not want to be accountable to either the European Court of Human Rights or Commissioners from the UN Convention on Rights of Persons with Disabilities. Meanwhile, regarding Kier Starmer, when I was a Holborn & St Pancras constituent in 2015 and he was taking over from Frank Dobson, I thought it emblematic of the kind of Labour figure Starmer would be, that an estate agents was gladly displaying his electoral posters. Starmer was also very critical of Corbyn's leadership direction; maybe Corbyn is attempting to broker deals with right wingers? (In LB Camden where his constituency resides, Starmer has some political clout at election times from Labour right winger and donor John Mills, whose JML online retailer's telephone call centre Labour's electoral canvassers use at election times for their cold calling. corbyn disappoints me - I had hoped for an outright "remain" position. This smells of opportunism. Given Corbyn actually believes the UK should not be in the EU this shift is to be welcomed. Also there will have to be another referendum based upon whatever cobbled agreement is agreed and actually staying in as we are now.